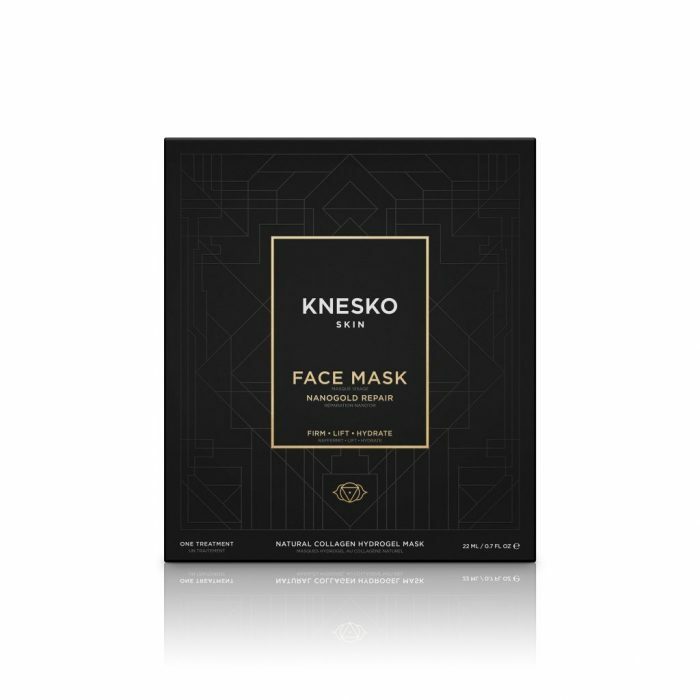 Choose hydration and elegance with KNESKO’s 24k gold face mask. Engineered with groundbreaking GEMCLINICAL™ technology and charged with healing Reiki energy, our single treatment gold mask provides age-defying skin repair while helping you open and explore your Third Eye Chakra. Bursting with gold nanoparticles and polypeptides, our face masks are formulated under a team of doctors to bring you effective and healing skincare. 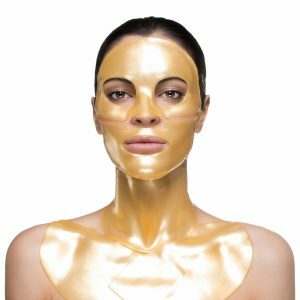 Each time you relax with a Nano Gold Repair collagen face mask, colloidal gold particles absorb into your skin to help combat fine lines, calm and reduce redness, provide optimum hydration levels, and lift areas in need improved elasticity. Active and natural ingredients like marine collagen, Aloe Vera and rose essential oil sink deep into your skin for lasting effects. Indulge in a healing gold face mask for yourself or share the gift of masking with someone you love with our convenient but powerful single treatment package. 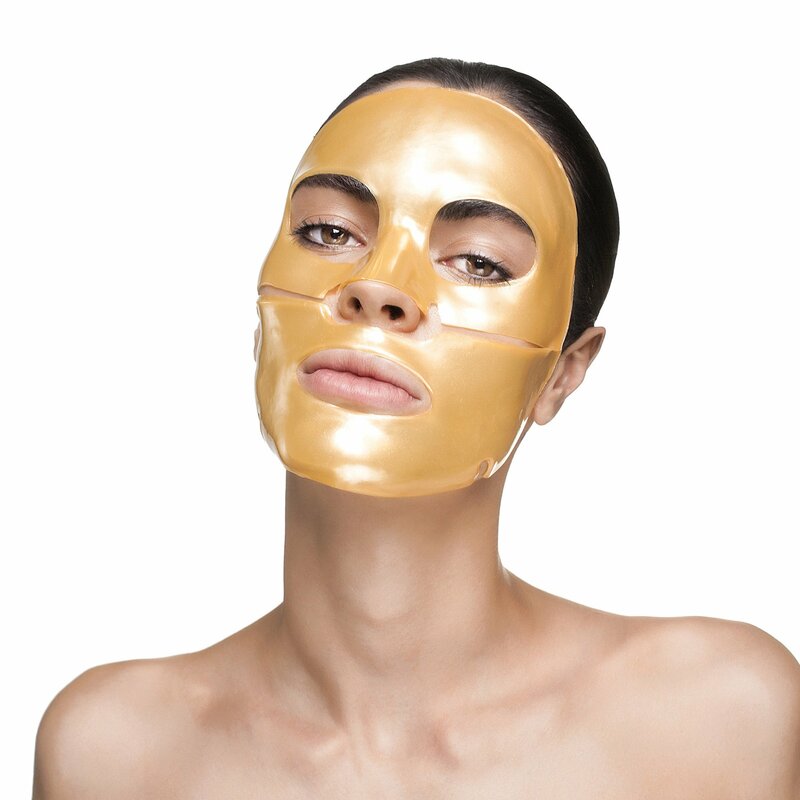 Perfect for routine at-home skincare, or to stimulate age-defying radiance before a special event, our gold mask is easy to use. Simply place the mask over your skin and allow it to sit for 15 to 30 minutes for full absorption. Every one of our masks is overflowing with an abundance of mineral-infused serum, so for added age-defying benefits massage any remaining elixir into your arms, chest, neck, décolleté – there’s even enough excess serum to go for a full-body treatment! Love the experience of Nano Gold masking? Share what you love! Our single treatment mask treatments make for the perfect gift. Go beyond ordinary skincare with our age-defying mask line. 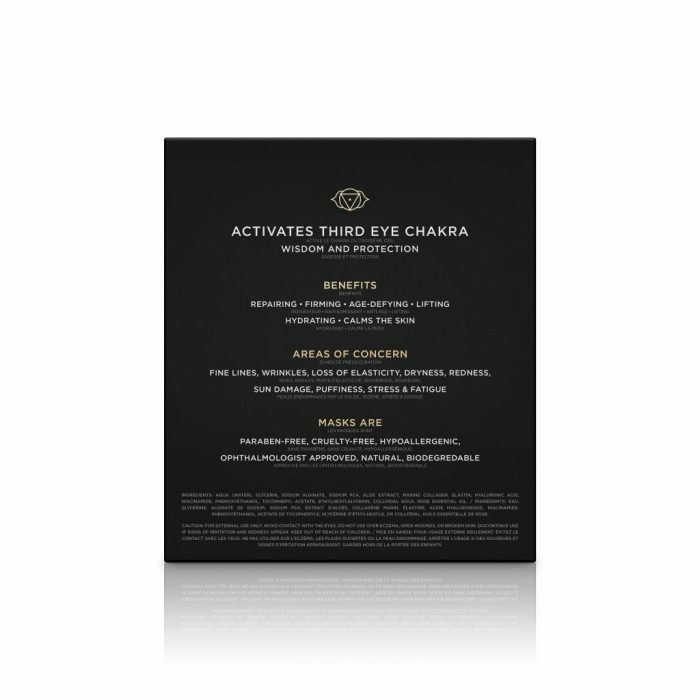 Combining the best of both modern medical technology and timeless spiritual traditions, our gold masks channel powerful Reiki energy to help you balance your Third Eye Chakra. Elevate your self-knowledge and confidence with the aid of a variety of natural minerals. Relax your busy mind, restore your spiritual equilibrium, and rejuvenate the delicate skin on your face today with KNESKO’s calming and replenishing 24k gold face masks. Each single treatment face mask is a unique serum-delivery system, containing one full ounce of doctor-formulated skincare ingredients, using our new GEMCLINICAL® technology which blends the special properties of precious minerals and gemstones with proprietary skincare formulas packed with active and clean ingredients. We have set a new standard with the amount of serum we use in each single facial treatment. It’s a value you won’t find anywhere else! Apply hydrogel pads to the Face. Gently push down on the mask to smooth out air bubbles and increase suction. Leave your mask on for 15-30 minutes (20-40 for face, neck and décolleté) to allow the gemstone-infused serum to work its magic. Each single treatment face mask is a unique serum-delivery system, containing one full ounce of doctor-formulated skincare ingredients including colloidal gold, hyaluronic acid, niacinamide (vitamin B3), and tocopheryl acetate (vitamin E). We have set a new standard with the amount of serum we use in each single facial treatment. It’s a value you won’t find anywhere else!